©KenRockwell.com, 2007. Photographer’s son actually receiving RotaTeq vaccine and giving a smile to Paul Offit for keeping him from ever getting a rotavirus infection. Vaccine deniers, especially in the USA, use the passive data from the Vaccine Adverse Event Reporting System (VAERS), a system where individuals can report supposed adverse events post-vaccination, to “prove” certain adverse events. The data is considered to be “passive” because the individual reports can be made online, by fax or by mail–real causal events may be underreported and hyped, imaginary issues with no causality, can be over-reported. However, without medical investigations of causality between the vaccination and the claimed adverse events that are reported to the VAERS database, the data have no real value. Frankly, VAERS can be gamed by those with nefarious intentions. In reality, VAERS is a feel-good system for those who think that there’s a link between vaccines and something terrible, but without an active investigation, the data is just above the level of being totally meaningless. Most epidemiologists know it is valueless. Even the VAERS system itself says that the data cannot be used to ascertain the difference between coincidence and true causality. Furthermore, there is a background rate for mortality (death) or morbidity (abnormal medical condition), across all causes, irrespective of whether an individual is vaccinated or not, and unless you understand the background rate, the vaccine “mortality” rate has no scientific meaning. In fact, we could provide data that shows anything might cause any adverse medical event, like playing video games leads to prostate cancer, but we would have no evidence of any type of causality whatsoever. Recently, several adverse events were reported about the rotavirus vaccine (RotaTeq® or Rotarix®), which prompted an investigation and report from the CDC. First a little background. 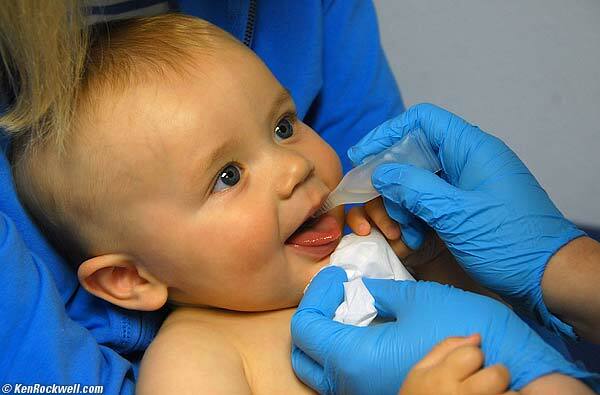 Rotavirus is a virus that causes gastroenteritis, an inflammation of the stomach and intestines. Rotavirus causes severe watery diarrhea, often with vomiting, fever, and abdominal pain. In babies and young children, it can lead to dehydration (loss of body fluids). Globally, it causes more than a half a million deaths each year in children younger than 5 years of age. Prior to the launch of the rotavirus vaccine in the United States in 2006, rotavirus was the leading cause of severe diarrhea in infants and young children. Before the vaccine became available, almost all children in the United States were infected with rotavirus before their 5th birthday. Each year, in the US, rotavirus lead to more than 400,000 doctor visits; more than 200,000 emergency room visits; 55,000 to 70,000 hospitalizations; and 20 to 60 deaths in children younger than 5 years of age. After the introduction and widespread use of the vaccine, a Cochrane systematic review concluded that the rotavirus vaccines may prevent up to 96% of severe diarrhea cases arising from rotavirus. The CDC began investigating reports in the VAERS database because there was a hypothesis that there might be some delivery errors with the rotavirus vaccine because of one simple fact: although most vaccines are injected, rotavirus vaccines are given orally. Medication delivery errors are something that concerns all medical regulators–labeling drugs or devices is a significant part of market approval of these items. The FDA spends a significant part of the regulatory process making sure that the drug or device is clearly marked as to how it should be used. That being said, CDC researchers found 39 incidences where the vaccine was injected, instead of given orally, in the VAERS database. 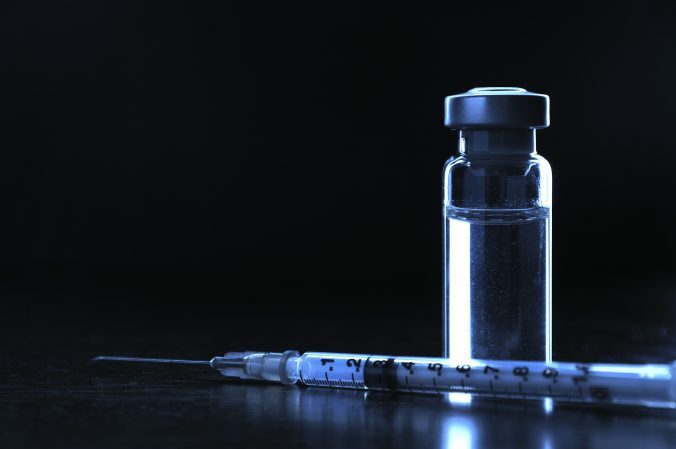 Although there appears be no serious side effect to those who received the injections, the bigger problem is that it cannot provide the proper immune response to prevent the disease, and those children might catch rotavirus. Photos/Merck & Co., Inc. (RotaTeq) and GlaxoSmithKline Biologicals (Rotarix). The figure above shows two live rotavirus oral vaccines (RotaTeq and Rotarix).These vaccines are approved for prevention of rotavirus gastroen¬teritis and recommended at ages 2, 4 (RotaTeq/Rotarix), and 6 (RotaTeq) months by the Advisory Committee on Immunization Practices. The Rotarix (RV1) vaccine made up 33 out of the 39 injections. Why? The packaging (image above) does look like a syringe (just add a needle, which a lot of pre-filled injection devices requires), although it is clearly marked as an oral delivery device. The RotaTeq (RV5) vaccine is more obviously an oral delivery packaging. Of the 39 mistaken injections, only 9 reported reasons for the mistake which included “misinterpreting package insert instructions, confusing the RV1 oral applicator syringe with a syringe for injection, confusing the RV1 vial with a vial used for injectable vaccine, inadequate training, and not reading the package insert.” I really could care less what the excuse made by these health care workers, but what they did was unconscionable. Both vials clearly state that they are for oral delivery only. The package insert says the same thing. So does the box. When vaccine deniers whine that healthcare workers need to read the package insert, I happen to agree in this case, even though it’s only about the one thing that really matters with package inserts–how to deliver the drug. Of course, 39 mistakes out of 55 million doses delivered (even though VAERS is a passive system, so it’s possibly underreported) is a tiny, insignificant issue (except with those incompetent healthcare workers who did this). There is no danger to the child who received this injection, except that the injection, in this case, will not confer immunity, so the child is at danger of the rotavirus infection. This is how VAERS is supposed to work. It does not provide scientific data, because it is not controlled nor can it be validated without investigation. However, it can provide a signal which can be investigated scientifically. VAERS is observation, hardly more than anecdote, until there is a thorough medical and scientific investigation, as what was done by the CDC with regards to vaccine delivery errors. Now, the CDC can put out the word, and healthcare workers are now reminded to do it right. For that reason, VAERS is a powerful tool. Let’s make this simple: VAERS = observation, VAERS + scientific investigation = evidence (which may or may not lead to causality). And scientific investigation leads us to conclude that a tiny fraction of healthcare workers made an error (though, a totally avoidable error). That’s useful information. Hibbs BF, Miller ER, Shimabukuro T; Immunization Safety Office, Division of Healthcare Quality and Promotion, National Center for Emerging and Zoonotic Infectious Diseases, CDC. Notes from the field: rotavirus vaccine administration errors – United States, 2006-2013. MMWR Morb Mortal Wkly Rep. 2014 Jan 31;63(4):81. PubMed PMID: 24476980. Soares-Weiser K, Maclehose H, Bergman H, Ben-Aharon I, Nagpal S, Goldberg E, Pitan F, Cunliffe N. Vaccines for preventing rotavirus diarrhoea: vaccines in use. Cochrane Database Syst Rev. 2012 Nov 14;11:CD008521. doi: 10.1002/14651858.CD008521.pub3. Review. PubMed PMID: 23152260.